If you are not from Rhode Island you probably have never heard of Roger Williams. But if you live anywhere in or near the Ocean State you’ve seen his name everywhere. There is a Roger Williams University, a Roger Williams Zoo, a Roger Williams Hospital, etc. 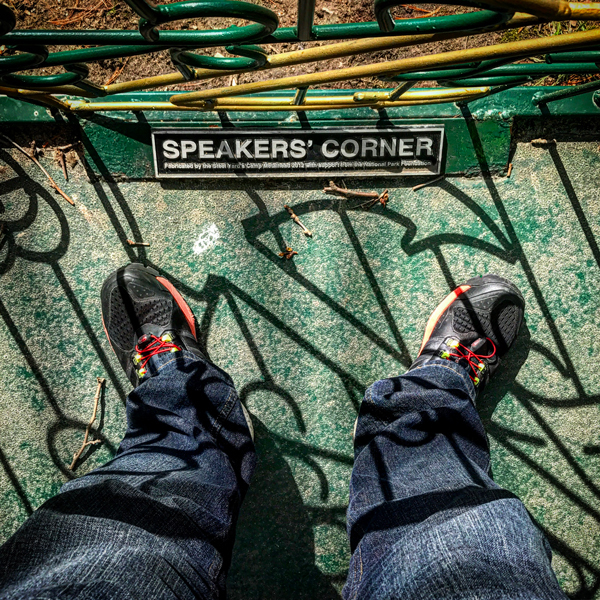 But believe me when I tell you, Roger Williams is a name you need to know. 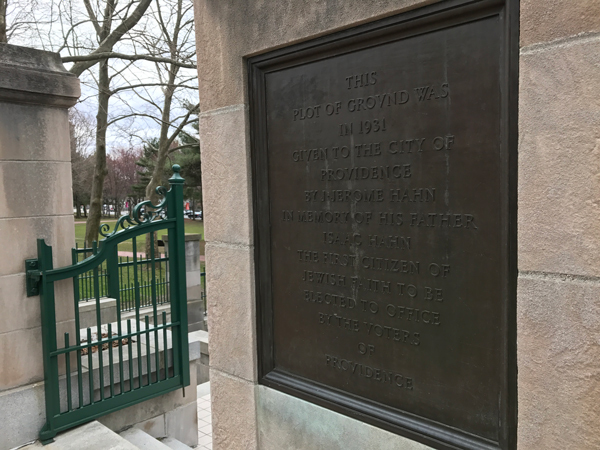 Not only was he the founder of the city of Providence, he stood for religious freedom and the freedom to have an opinion — two ideals that this country need right now. Roger Williams got kicked out of Massachusetts because he realized the promise of separation of church and state that was advertised, was not happening. 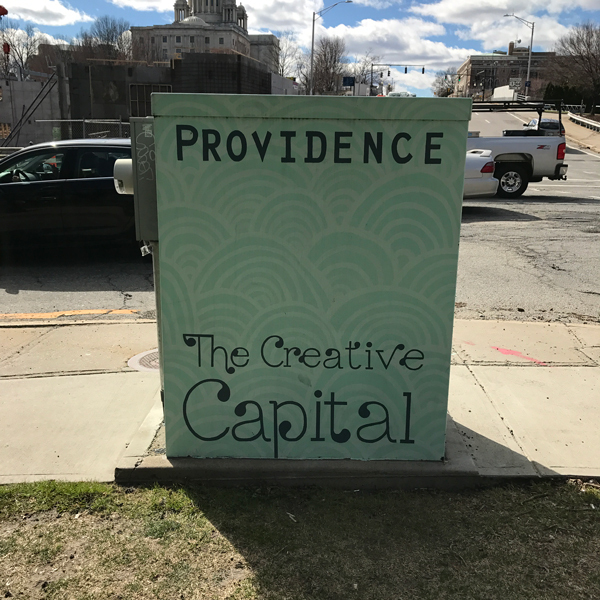 So he trekked south and founded the city of Providence. 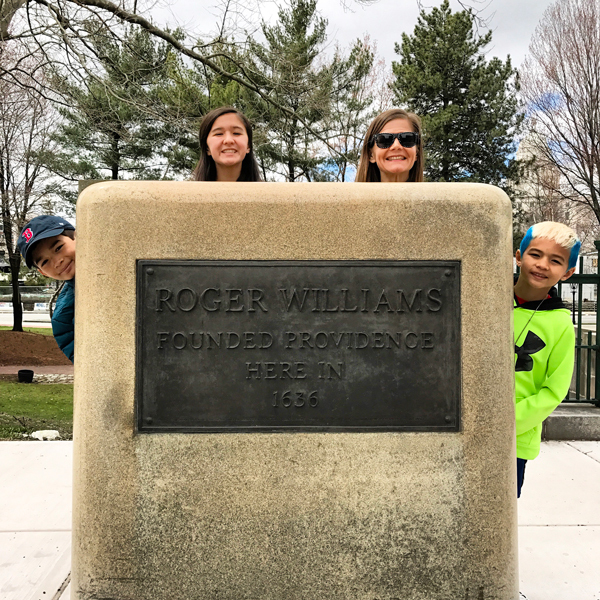 Roger Williams National Memorial is made up of a number of historic sites sprinkled around the city of Providence. 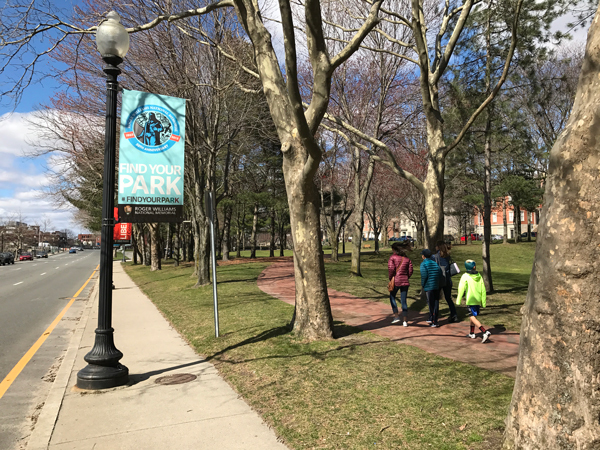 The main location is a public park in the middle of the city that is anchored by a number of placards and places to sit, play, and explore. 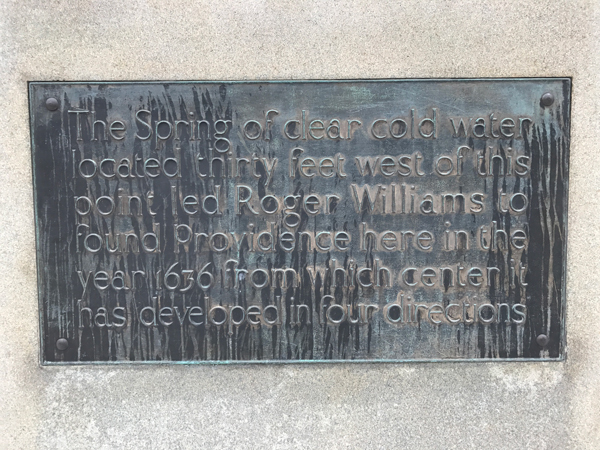 The memorial, a 4.5 acre urban greenspace located at the foot of College Hill in downtown Providence, includes a freshwater spring which was the center of the settlement of Providence Plantations founded by Williams in 1636. The Visitor Center is located in the Antram-Gray House. 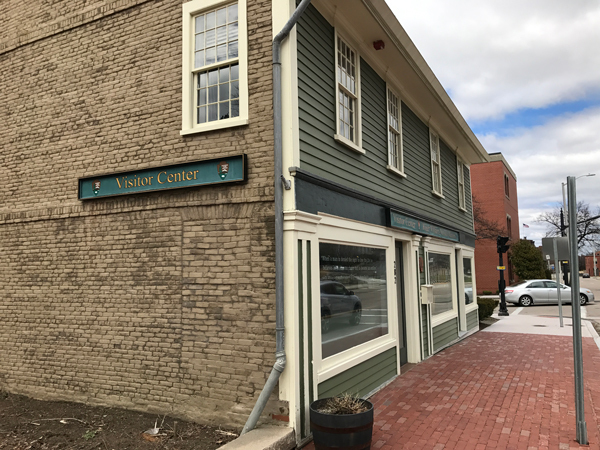 “Over its almost 280 year history, the structure has seen many uses: private residence, grocery and dry goods shop, dressmaker’s shop, liquor store, hairdresser, restaurant, barber, and watch shop.” The National Park Service took ownership of the house in 1974. 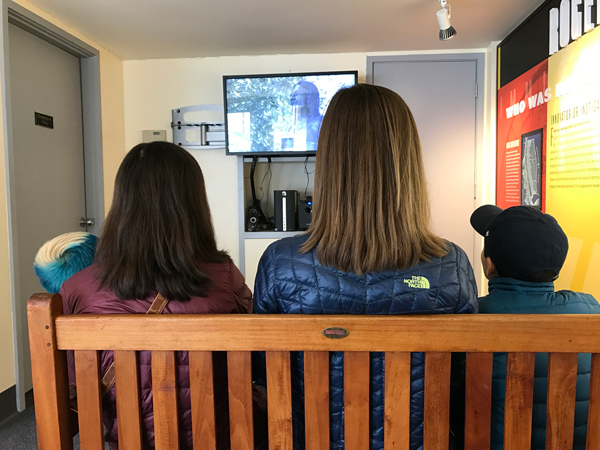 There is a short 5 minute film in the Visitor Center that covers on all the highlights of Roger Williams’ life. 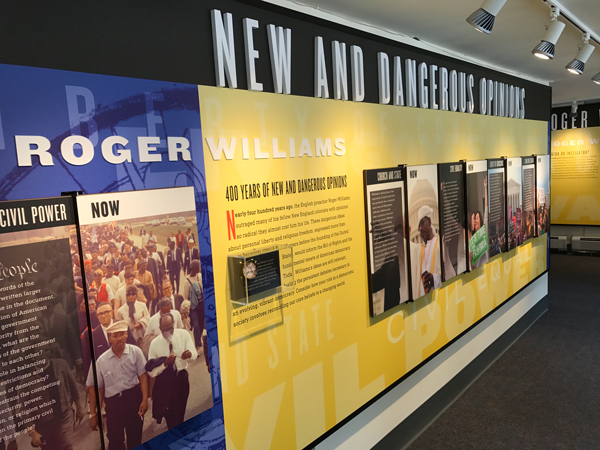 There are a few displays within the small Visitor Center that speaks to “New and Dangerous Opinions” and the fight to keep that freedom safe. 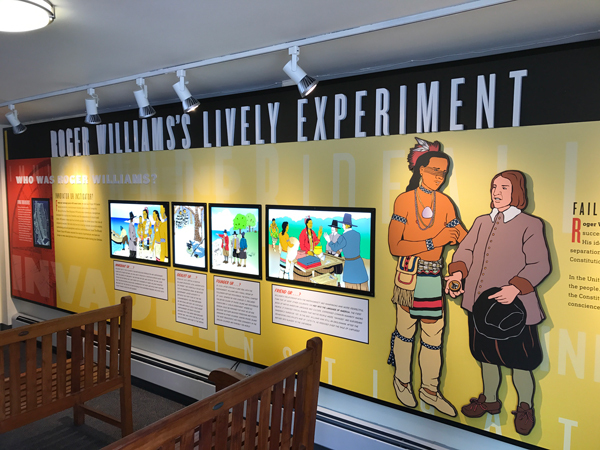 A display also talkes about how Roger WIlliams worked with the Narragansett tribe in the area. 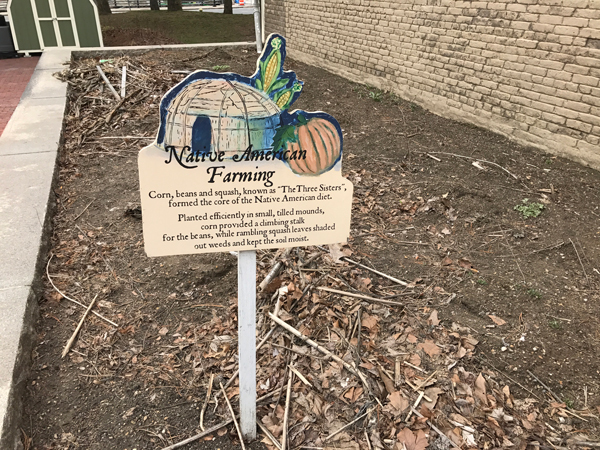 Surrounding the Visitor Center are a few displays on Native American Farming. I imagine later in the Spring, these would show some growth. On a more personal note, my wife and I were pretty surprised to hear this Visitor Center has been here since the mid-1980s. We both attended Rhode Island School of Design, just 3 blocks up the hill and never even knew it was so close! Roger Williams’ ideas and opinions perfectly epitomize the self-expression and freedom of opinion that I experienced while at RISD in the mid-90’s. 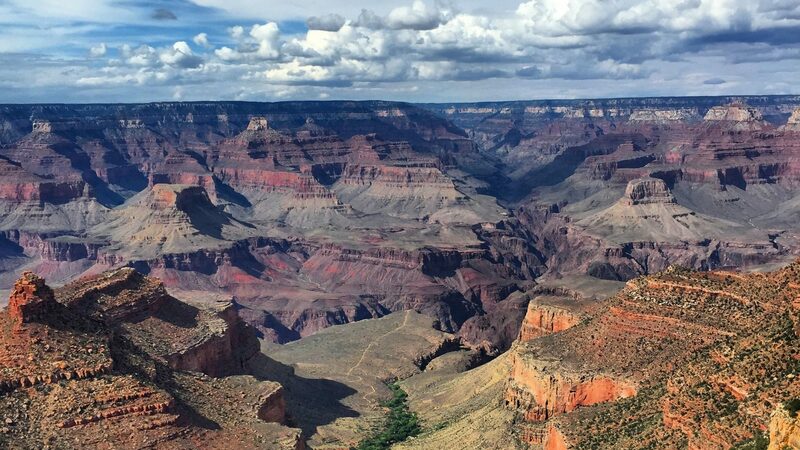 It was great to visit this National Park unit while visiting Providence this weekend! 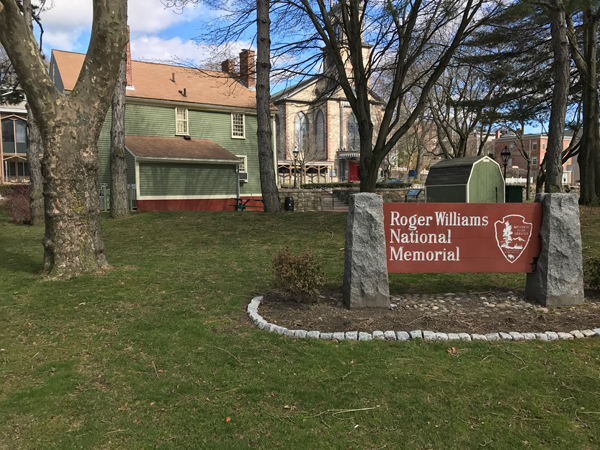 Have you visited the Roger Williams National Memorial? If so, leave your impressions in the comments!